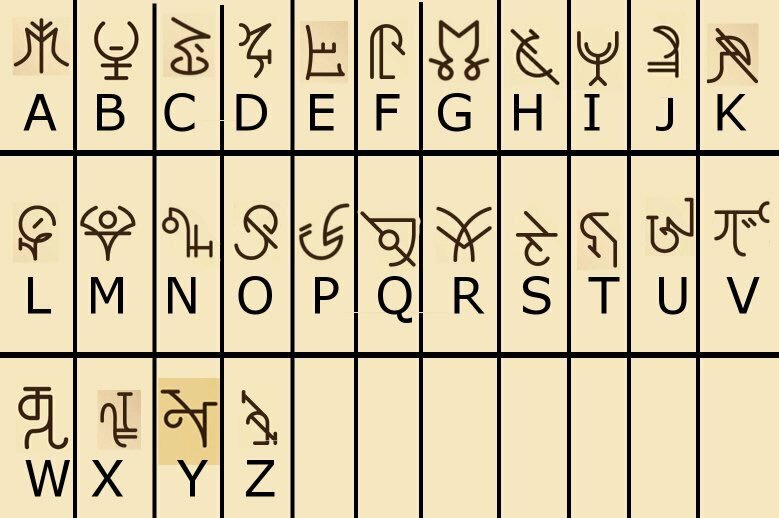 …which comes with the inscription TEF, at least according to this runic alphabet compiled here. And as of Friday, there was this late missive from the Sage of Shadowdale which states that everything we need to “prime the spell” is at hand, and it’s just a matter of figuring out where to go from that mysterious clue. 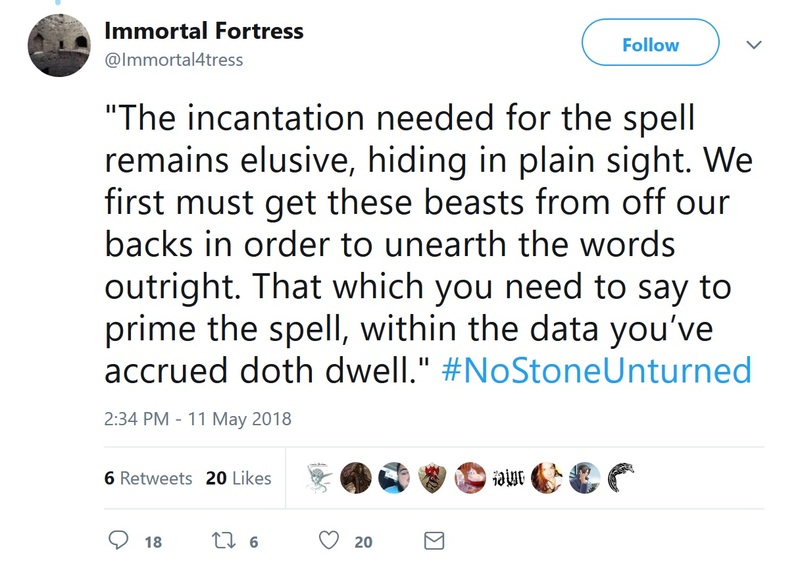 If you’re wondering what this all means, well you can catch a quick refresher at the headquarters of the Immortal Fortress, where you can read up on the clues discovered so far. Or you can track down the beginning of the mystery in order to follow along with the clues from their outset. 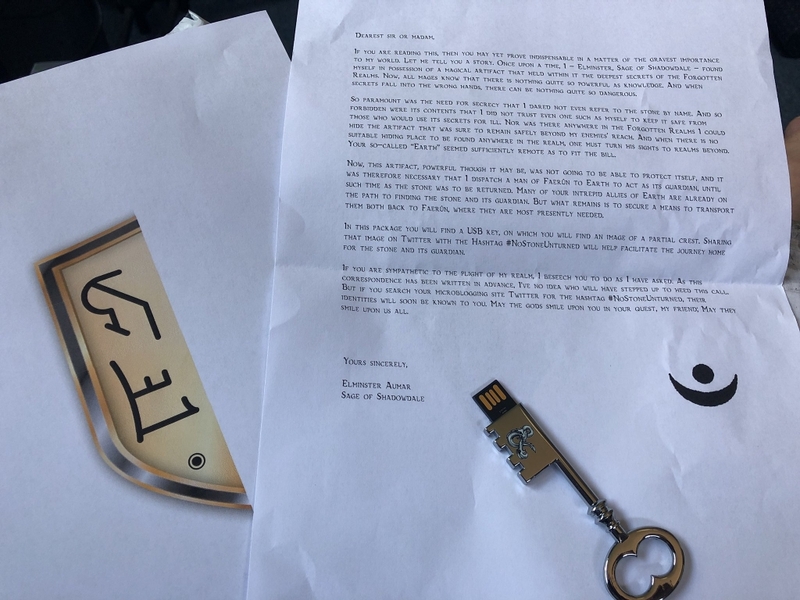 Several people around the web have been getting glyphs and keys–all of which are probably necessary to retrieve the magic artifact that Elminster is seeking, one of “vital importance” to the Realms. But what does it all mean? Well, right now it seems like the “plot” of this story is moving forward during the week. So be sure and stay tuned during the early days of the week to get an idea of where the mystery is headed next. So far, this all feels very “da Vinci Code,” which is one half of the description of the next storyline for D&D (to be unveiled at the Stream of Many Eyes), so perhaps this week we’ll see things get a little more Gangs of New York. At any rate, things are never what they seem when Elminster is involved, so I imagine that we’ll be seeing what’s new soon enough. If I had to guess, I’d say a big leap forward happens sometime in the next day or so, followed by a new batch of puzzles. So get your sleuthing hats on, and get cracking, the Realms won’t save themselves.